The Sounders FC-Supporters meeting went down last night. While I was in Bremerton checking in on the club news there (see previous post) fans like asoc were taking notes to share with the rest of us. You can read notes directly from the laptop of SoundersFootBlog here, too. In coaching search news, the Boston Globe confirms that Sounders FC have received permission to talk to New England Revolution assistant coach Paul Mariner. 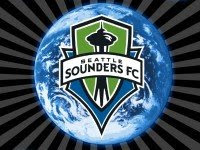 Over at the official club website Sounders FC are talking about building the club. The Seattle Soccer Show talks with Sounders team captain Danny Jackson on this week's show. The Washington Huskies Men are on national TV tonight at 8:00 PM against rivals University of Portland. Seattle native Spencer Richey is interviewed here about life as a USA U-17 residency goalkeeper.